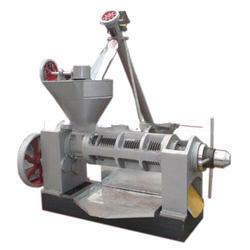 Prominent & Leading OEM Manufacturer from Mumbai, we offer canola seed machinery. Sundex process offers Canola seeds Machinery which contains more than 45% oil. The major oil is recovered by mechanical pressing in screw presses. The seeds are subjected either to pre-pressing in screw presses leaving left over residual oil in the cake in the range of 16 to 20% or the seeds are subjected to full pressing in which case oil left over has residual oil in the cake ranging between 8 to 10%. The cake is subjected to solvent extraction for recovery of the residual oil. - Details available on request. Looking for Canola Seed Machinery ?